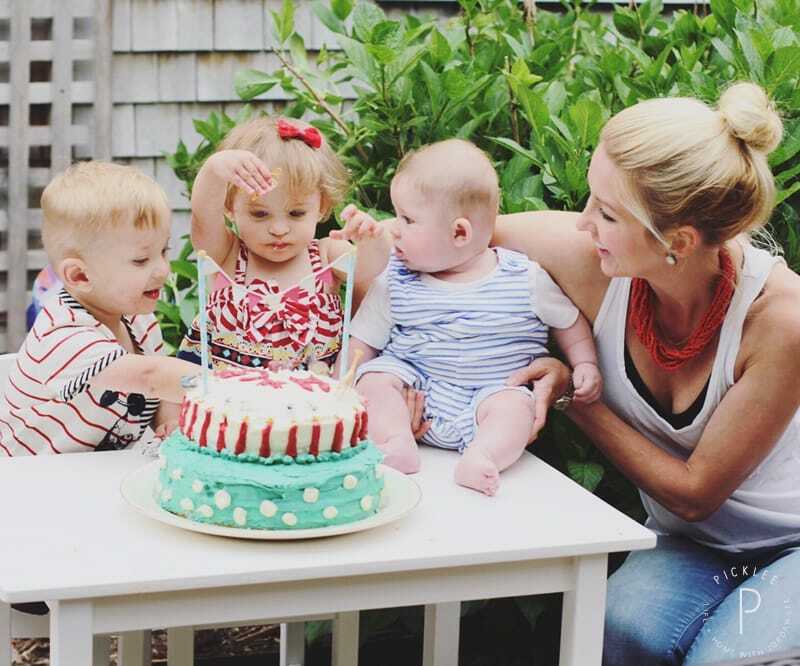 Planning a birthday party for a toddler can be a daunting task, but when you add boy/girl twins to the mix things get even stickier. 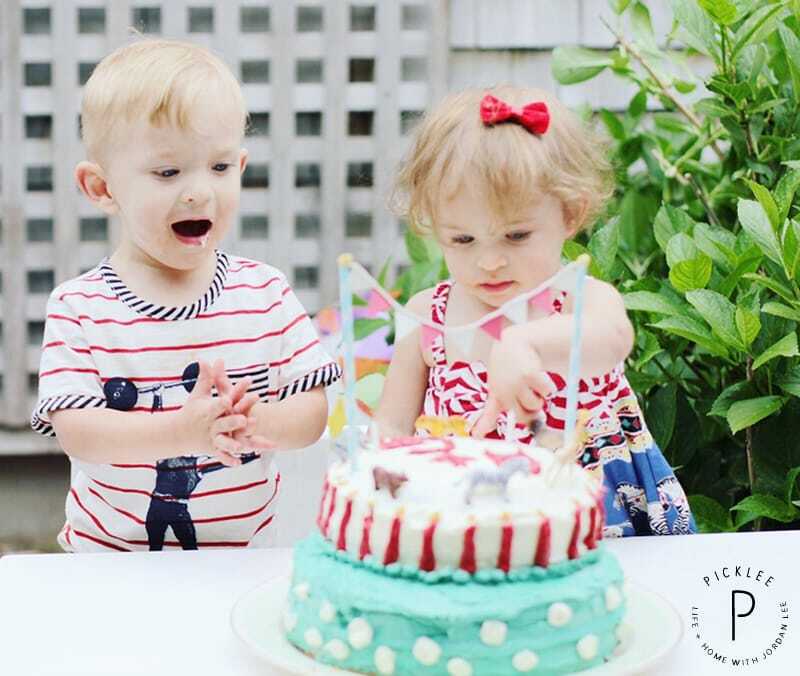 As the twin&apos;s second birthday drew nearer, my anxiety level climbed higher & higher…I couldn&apos;t decide on a unisex party theme that would suit my twins and I had absolutely nothing planned except for the date. Plus, Harrison was only 3 months old at the time and planning a party was not on my list fun ideas, so I mailed out generic invites with no clue what I was going to do yet. 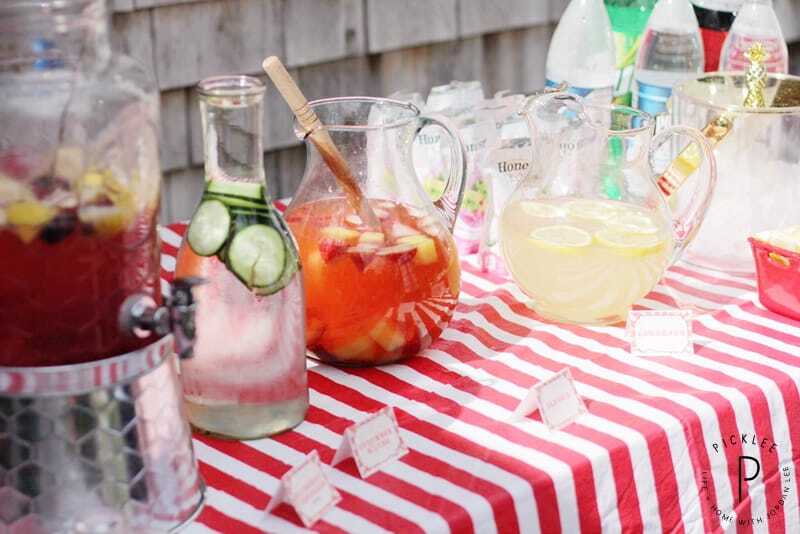 Then, about a week before their party, it hit me out of no where…we could have a circus themed birthday party! 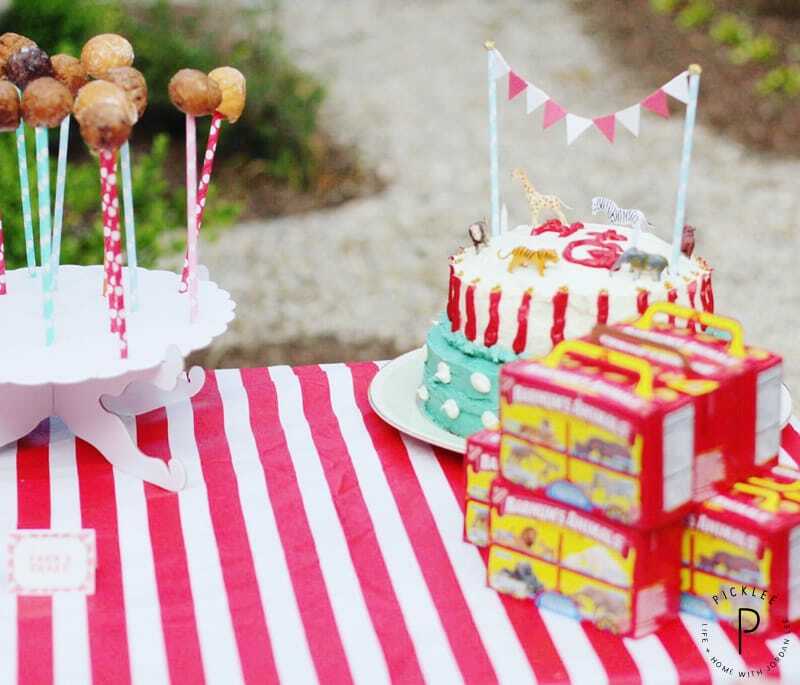 A circus theme was the perfect party theme for twins, and especially since they&apos;re currently obsessed with anything to do with animals. Since everything was so last minute, we had a very basic circus party. There were no performers or animals jumping through rings of fire ;), but our twin&apos;s loved every second of their simple circus party! We had lots of red & white, printed circus signs, plenty of yummy treats and even a homemade circus cake (made by yours truly, since I couldn&apos;t get one made in such short notice!) I searched high and low for free circus party printable signs and couldn&apos;t find anything I liked, so I ended up creating my own. All of my circus party signs are included below and can be downloaded and printed for free! First thing I did was pick up lots of red and white striped table cloths. That gave everything a festive feel & set the stage (no pun intended 😉 ) for our circus theme. Of course, every circus must have popcorn, so I picked up these super cheap & fun popcorn boxes from Amazon. We popped lots of fresh, buttered popcorn and pre-filled several boxes- this was a big hit with the kids! The next morning I woke up and had an epiphany! 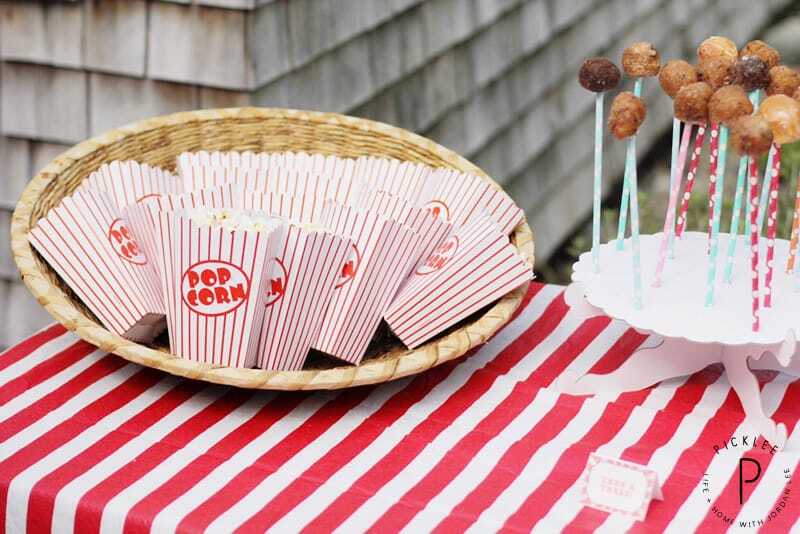 I had racked my brain all night trying to figure out what kind of fun treat I could serve on on sticks for the party. I thought about cake pops but I had no time to make them, then it hit me… doughnut holes! Kids LOVE donuts, everyone loves donuts- and food on sticks is always more fun! So a couple hours before the party I ran out to our local doughnut shop and grabbed a bunch of assorted doughnut holes. They looked absolutely adorable on the paper straw sticks and they ended up being a HUGE hit. In fact, I couldn&apos;t believe how popular they were! In addition to the popcorn and doughnut holes, I picked up several boxes of Barnum & Baileys animal cookies for party favors. They were super simple and fit in perfectly with our circus theme! 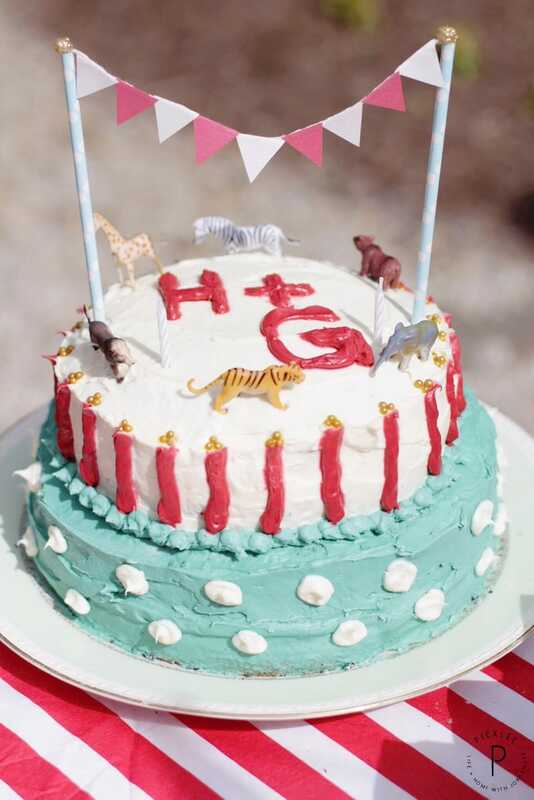 My DIY circus cake was a bit of a labor of love! I spent more than a few hours piecing everything together and it was no where near perfect, but the kids loved it and that&apos;s all that mattered to me! I basically baked four circular cakes and layered them together. Then I used food coloring to mix up red and blue frosting to match the party&apos;s colors. For the top of the cake, I picked up a package of adorable mini animals from Target, then added a mini flag bunting made from two paper straws, string and construction paper. We hung the old fashion pointing hand circus signs to play up the circus theme! Grant & Hayden loved every second of their circus themed birthday party, and it was so simple that I wish we could do it every year! Baby Harrison even got to help blow out the candles! I&apos;d say the circus party for our twins turned out to be a big success, and the best part was how simple it was to do! If you&apos;re really feeling ambitious you could take the circus theme to another level and add inflatables, animals and entertainers… but we went the simpler route and loved everything about it! 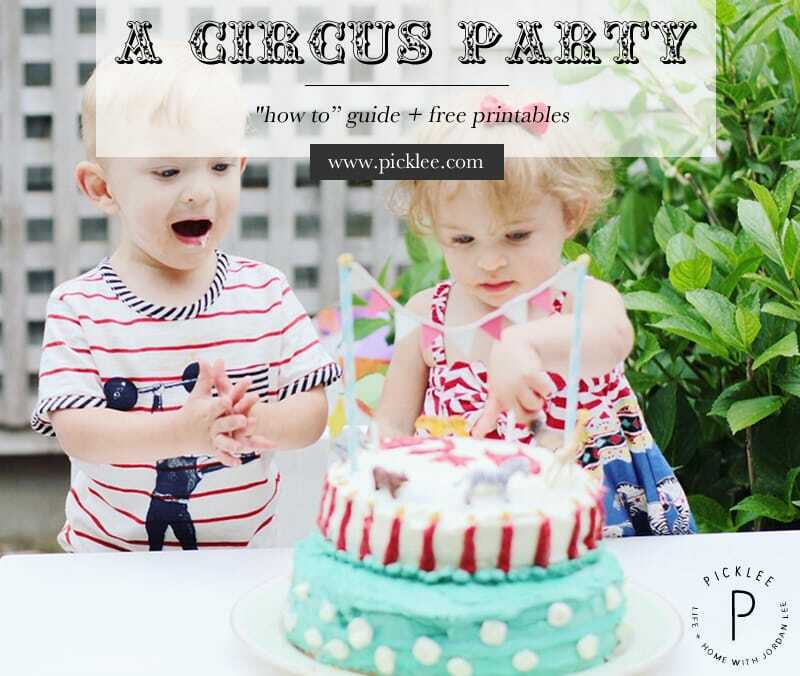 Click the following link to download our FREE Circus Party Printables! For simplest printing, I recommend saving the images then inserting them into a Word Doc. 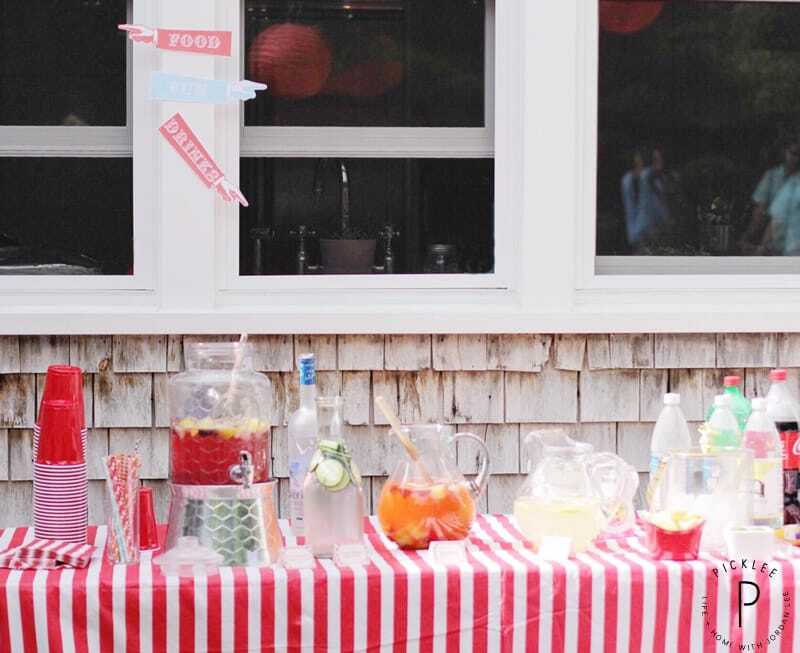 In the Word document you can add text boxes over the images to make place cards, labels for food & drinks, and circus signs specific to your party! You can use just about any font, but for an amazing free circus font, I recommend downloading "JFAutumnFair" from Font Space!